The National Security Agency and Cyber Command marked the official opening of a new $500 million building May 4, one that is designed to integrate cyber operations across the U.S. government and foreign partners. The new Integrated Cyber Center and Joint Operations Center, or ICC/JOC, is Cyber Command’s “first dedicated building, providing the advanced command and control capabilities and global integration capabilities that we require to perform our missions,” former commander Adm. Michael Rogers said in recent congressional testimony. The center puts Cyber Command, NSA, other government organizations and foreign partners together under the same roof to better synchronize, coordinate and de-conflict cyber operations. The ICC/JOC will become operational in August. Others in the national security community described the new facility as a physical platform. 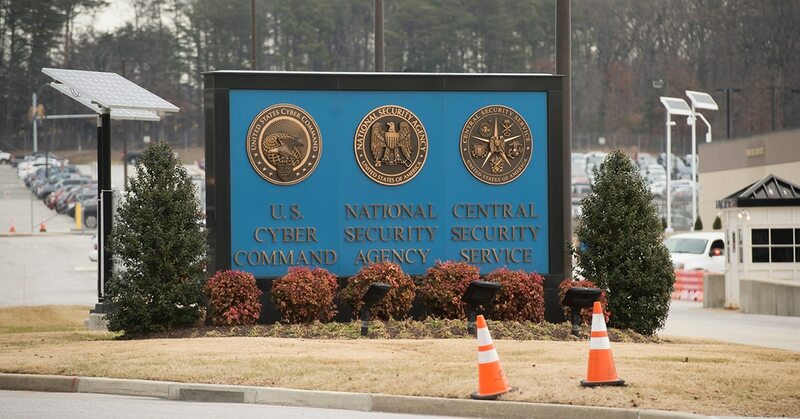 “The building represents a physical platform where U.S. Cyber Command and NSA can jointly work together,” Ron Talarico, chief of military construction at NSA told reporters. He added that while the building was funded separately by NSA and CYBERCOM, the facility was designed to function as one. Cyber Command, Talarico said, spent roughly $358 million on the building while NSA’s contribution was around $150-158 million. The Joint Operations Center serves as the nerve cell for planning and synchronizing offensive and defensive operations, though the operations themselves will be executed by operational units located elsewhere. During the ribbon cutting ceremony, Rogers explained the two far sections of the building are devoted to NSA and Cyber Command respectively, while a rotunda in the center serves as the joint operations center. Despite ongoing discussions surrounding the severing of the so-called dual-hat leadership of NSA and Cyber Command, many in the cyber community have noted the necessity that the two organizations remain inextricably linked going forward. This is due to the important intelligence value NSA provides inside adversary networks prior to operations for Cyber Command. Without the necessary intelligence inside networks, operations cannot be properly planned and executed. The building is part of NSA’s nascent east campus and includes the new headquarters of Marine Corps Forces Cyberspace Command. The completion of the east campus is scheduled for 2028 and will include a total of six buildings and house more than 20,000 employees, according to an NSA release. Rogers also told Congress that Cyber Command will request additional funds for a new headquarters facility as it currently operates from a variety of dispersed facilities.